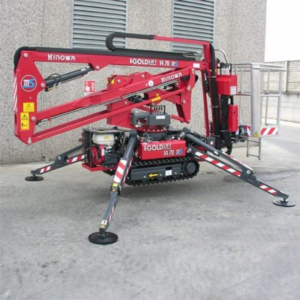 Categories: Cherry Pickers, Towable Boom. 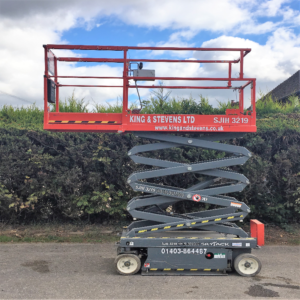 The Nifty 120 is a robust and versatile, road-towable, trailer mounted cherry picker, a safe alternative to ladders and scaffolds. 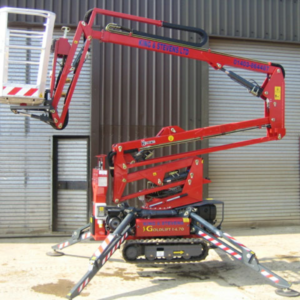 Retractable axles allow it to pass through an 1.5 metre opening giving better access to applications. 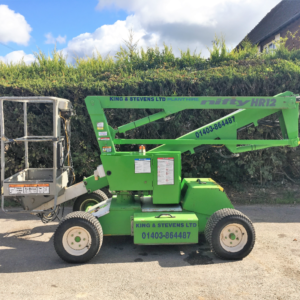 It comes with hydraulic outriggers and manual levelling. 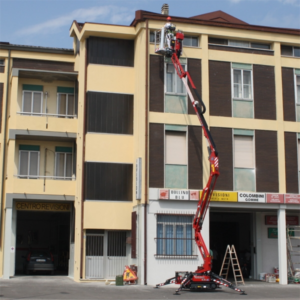 Operation is quick, easy and precise due to reliable fully proportional controls. Its versatile battery power pack enables it to work inside and out, quietly and with zero emissions. We do recommend that you use a harnesses and lanyard. 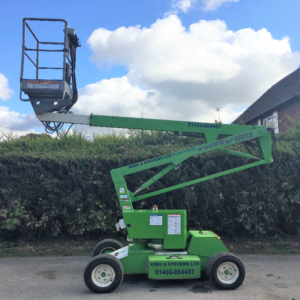 These cannot be hired out, however basic harnesses can be purchased from our shop. 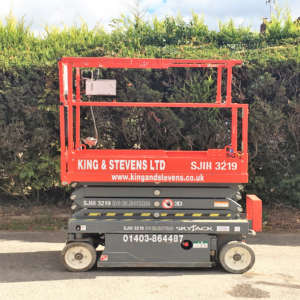 We do not insist that you have an IPAF certificate to use this machine but whoever is going to be using the machine MUST have a ‘Handover Course’ when it is delivered or collected. Basic specifications and dimensions are below but please see Manufacturers Spec Sheet tab for detailed dimensions. 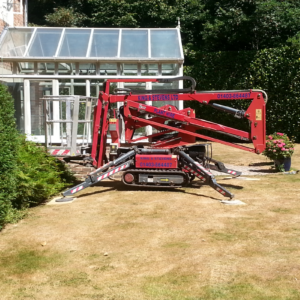 Outrigger Pads recommended – Can be hired at an additional cost of £20 + VAT for a set of 4.